About LPCB Attack Testing Zone - Products, News and Contacts. LPCB is a world renowned certification mark for fire and security products and services, with a history of excellence dating back to 1868. LPCB certification is delivered by BRE, the UK’s leading independent test and certification authority for security, fire and the built environment. Its certification is based on extremely thorough testing and evaluation work and rigorous quality audit processes. Together these ensure the fire products it tests and approves deliver proven levels of protection and provide assurance to specifiers and end users. 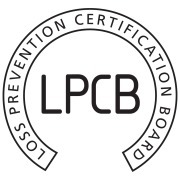 Go to www.redbooklive.com to view LPCB certified products. Our technical experts will also be on hand throughout the event to discuss any queries you may have regarding standards, testing and approval of physical and electronic equipment. SABRE is a security risk management standard for new and existing buildings, infrastructure assets and managed space. The scheme provides industry with a framework that can be used during the design, construction and operation of assets to achieve better security outcomes and return on investment. The LPCB Red Book List of approved fire & security products and services. Online at redbooklive.com and via Apps for tablets and smartphones. Not all fire and security products and services on the market can be trusted in the event of a fire or attempted break-in. The correct specification of security products and systems is critical in protecting people and property from losses associated with crime and terrorism. BRE Global works closely with government, police, insurers, risk consultants and architects to develop standards and certification schemes which ensure security equipment and services deliver the levels of performance required to protect against criminal and terrorist threats.